1863 Borley Rectory constructed by Rev H. D. E. Bull, rector of Borley. 1875-6 The Rectory is extended as the Bull family increases. 1892 Henry Bull dies, succeeded by Harry F. Bull. 1911 Rev. Bull marries and moves to Borley Place, Bull sisters remain in Rectory. 1920 Rev. Bull moves back to Rectory. 1926 Price forms the National Laboratory of Psychical Research which later becomes the University of London Council for Psychical Investigation. 1928 Rev. G. E. Smith takes up residence in October. 1929 Rev. Smith contacts Daily Mirror in June and is visited by reporter Mr. V. C. Wall. 1929 Price (accompanied by secretary Miss Kaye) visits Rectory for first time 12th June. Various phenomena experienced. 1929 Price and others visit Rectory unusual phenomena experienced, 27 June. 1929 Price, Miss Kaye and Lord Charles Hope visit Rectory more phenomena reported, 5th July. 1929 Smiths leave the Rectory, 14th July. 1930 Smiths leave Borley and move to Norfolk. 1930 Rev L. A. Foyster with wife Marianne and 2 year old child Adelaide move into Rectory, 16th October. 1930-1 Rev. Foyster keeps a record of phenomena. 1931 Sir George and Lady Whitehouse visit with son Richard and form view that Marianne is responsible for the phenomena August. 1931 Bull sisters ask Price to visit Rectory again, 29th September. 1931 Rev Foyster invites Price, 1st October. 1931 W. H. Salter of the S.P.R. visits Rectory and advises Rev. Foyster to deter Price from visiting or demand that he promises in writing that he will not seek any form of publicity relating to the Rectory, 9th October. 1931 Richard Whitehouse visits the Smiths in Norfolk, December. 1932 Price mentions in a letter to Rev. Smith that he would like to visit Borley but the Foysters will not agree, 8th January. 1932 Price visits Rectory, reason unknown, April - November. 1935 Foyster leave Borley, Rectory unoccupied, October. 1936 Confessions of a Ghost Hunter, Harry Price, published, February. 1936 Mr. Guy L'Estrange makes a B.B.C. broadcast about Borley Rectory, December. 1937 Price rents Rectory for one year, he enrols 48 others to help investigate Borley phenomena. S. H. Glanville assist Price in supervision of investigation. 1937 Price makes a B.B.C. broadcast about Borley Rectory. 1938 In a séance the Rectory is threatened with destruction by fire, 27 March. 1938 Captain Gregson purchases Rectory intending to capitalize on its reputation, December. 1938 Price makes a B.B.C. broadcast about Borley Rectory. 1939 Rectory burns down on 27th February. 1939 Captain Gregson makes a B.B.C. broadcast about Borley Rectory, April. 1939 Price meets the Whitehouses and changes his view of Mrs. Foyster’s involvement. Price and Foyster on cordial terms once more, April. 1939-44 Dr. A. J. 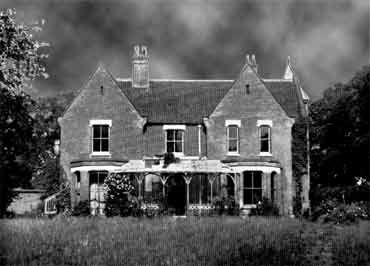 B. Robertson and others make numerous visits to ruins of Rectory and submit a report to Price later published in The End of Borley Rectory. 1940 Rev. G. E. Smith dies the same day as The Most Haunted House in England, by Harry Price, is published on 3rd August. 1940 Many people contact Price describing unexplained phenomena at Rectory site. 1941 Price makes a B.B.C. broadcast about Borley Rectory. 1943 Polish officers visit Borley on 28th June and 28th July. 1943 Price conducts excavation of Rectory wells and cellars. Finds include human bones, 17th August. 1944 Ruins of Rectory demolished. 1944 Price with Miss Cynthia Ledsham of Time-Life magazine visit during demolition work, “flying brick” photographed, 5th April. 1945 In a letter to the Church Times, Mrs. Smith denies the she or Rev. Smith ever believed the Rectory to be haunted, Price, Glanville and Henning puzzled by this, October. 1945 Poltergeist over England, by Harry Price, published, containing a chapter about Borley. 1946 The End of Borley Rectory, by Harry Price, published. 1946 Price with others makes a B.B.C. broadcast about Borley Rectory. 1947 Price with others makes a B.B.C. broadcast about Borley Rectory. 1948 Harry Price dies whilst writing a third Borley book, 29th March. 1948 Mrs. Smith repeats her disbelief of Borley haunting in a letter to the Daily Mail, 26th May. 1948 Reported Charles Sutton, writing in the Inky Way Annual, accuses Price of manufacturing phenomena on their visit in 1929, December. 1956 The Haunting of Borley Rectory – A Critical Survey of the Evidence by E. J. Dingwall, K. M. Goldney and T. H. Hall published. 1965 An Examination of the “Borley Report”, by Robert J. Hastings published, March.